Benefits of busway and the e.schonell bridge..
Brisbane's looping river, and its extreme shortage of bridges outside of downtown, slices the city into a series of hard-to-access peninsulas. Motorists are used to driving way out of direction to reach their destinations, and until recently, buses had to do the same thing. 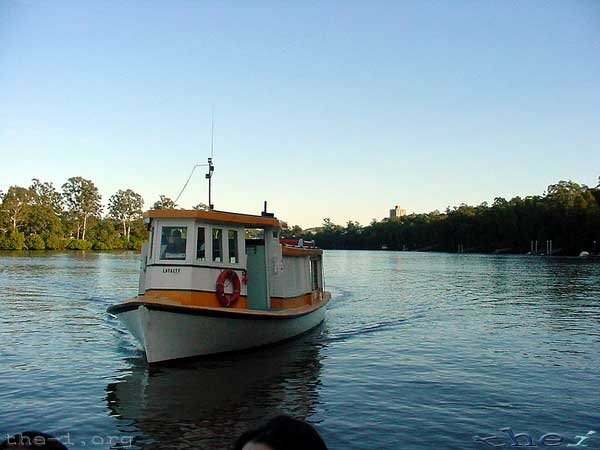 The only transit that could do what cars couldn't was the river ferry system, CityCat, and while this system is immensely successful, it is still a small share of the travel market because (a) so much of the population is not on the river and (b) the river is a circuitous travel path as well. Eleanor Schonell Bridge is a powerful example of infrastructure that transforms a city's living patterns by transforming the isochrones of access. We can all think of trains and ferries that do this, but it's rare that buses are allowed to succeed in the same way. Once again, Brisbane has shown that it's not the transit technology that matters to people's location choices. It's where you can get to easily. Good comment responses on article from both sides. It would be even better if BCC had not allegedly blocked access by other operators (Redlands? Clarks Logan etc?) to using the bridge. Why woudnt BCC get greedy and monopolise/control one of the fastest growing economic areas around the cbd rim...they are BRISBANE CITY COUNCIL after all arent they? I'm not fussed about the lack of direct services from Logan and the Redlands - they would only be needed if Buranda was at capacity and could not be used reliably for interchanging (which is not the case). UQ Lakes and the Boggo Road busway were and are a fantastic success and credit is due to all parties. The Eleanor Schonell bridge (the Green bridge) was the first bridge in Australia exclusively designed for buses, cyclists and pedestrians. Major significant success. It demonstrates would be achieved with the right direction towards improving infrastructure for public and active transport. As a side note I used to run frequently along the river in the 1970s, 1980s as I was based at the 1st Military Hospital (Yeronga) at various times. The changes have been very significant. I remember fondly the ferries, albeit a bit tiresome for some. students and staff took advantage of the improvement in accessibility. The proportion of all students living within a 10-minute bus journey of campus increased from 34% to 44% between 2003 and 2012; the proportion of staff increased from 21% to 37%. Same is happening for the suburbs around griffith uni. from rochedale to salisbury....robertson is one of the boom suburbs atm...with any property miraculously going up for sale snapped up within days. If the northside can somehow get another univeisity or more private education institutions....near the northern busway...it will open up a lot of opps. The travel time to the university by bus from inner southern suburbs like Annerley and Wollongabba halved. The number of students living in southern suburbs like Rocklea, Sunnybank and Cannon Hill increased markedly. Ah yes, the ferries. I travelled on them once or twice as a child. Dutton Park ferry terminal now stands beside the bridge looking very dilapidated - hasn't been touched since the floods destroyed a lot of the terminal. The Green Bridge really has opened up a lot of potential PT trips - but it has come at the expense of car trips (not a bad thing). I know thanks to the Green Bridge, provided connections line up well, a St Lucia - Carindale via Green Bridge trip by bus (+ walk) is about as fast as St Lucia - Carindale via City by car. This isn't emphasised much, but for locals in St Lucia/Taringa, if travelling by bus, the Green Bridge really opened up a lot of opportunities for travel to the southside.